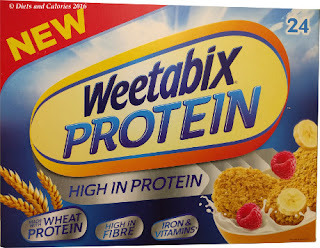 Last September I reviewed a new high protein Weetabix cereal called Weetabix Protein Crunch. 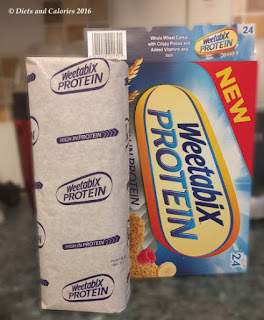 This is a different sort of breakfast cereal to the regular wheat biscuits as it’s made from wheat and oats and shaped like tubes. Now Weetabix have brought out another new Weetabix Protein cereal in the familiar wheat biscuit form. So what are they like? 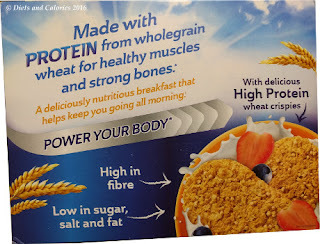 I purchased one box of 24 wheat biscuits at the slightly inflated price of £2.99 compared with the regular Weetabix price of £2.39. 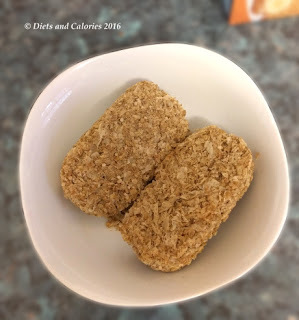 I served these up to my daughter with warm milk as she likes them, and asked what she thought. 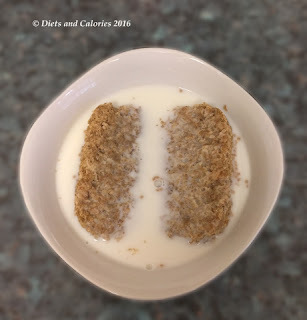 Well, she didn’t really notice any difference at all. I tried some too and as far as I can tell, they taste just the same as regular Weetabix. The only real noticeable difference is the little round crunchy bits dotted around throughout each biscuit. These add a bit of chewiness to the over texture and they’re actually very nice. They have more protein than regular Weetabix: 19g compared with 12g per 100g, so they should leave you feeling a bit fuller. 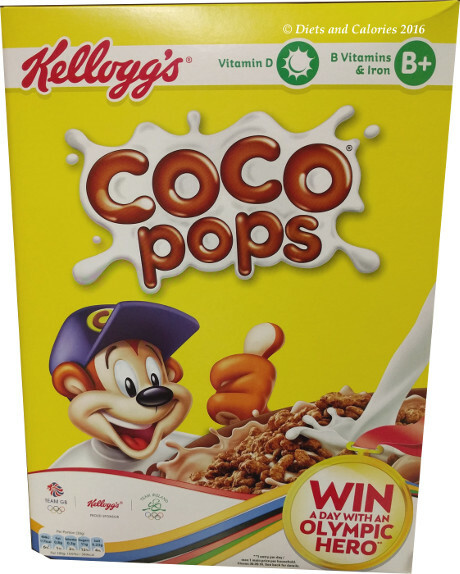 They also have a full set of green traffic lights – low sugar, low salt, low fat and low saturated fat. 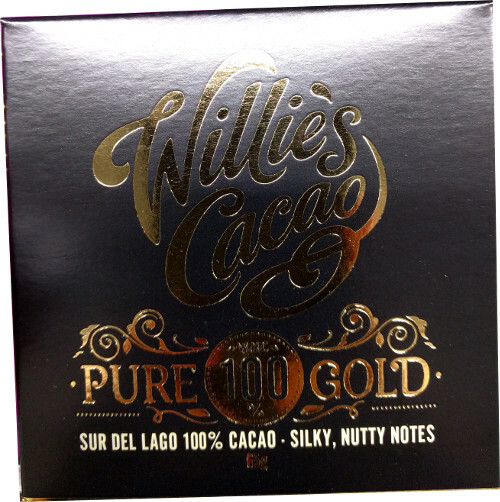 In the list of ingredients it mentions cocoa powder, however, I don’t know if this is a mistake because I sure can’t detect any hint of chocolate. You can find new Weetabix Protein in Ocado online, branches of Waitrose and Sainsbury’s. 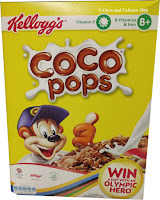 Ingredients: Wholegrain wheat (86%), wheat gluten, sugar, malted barley extract, Rice flour, wheat starch, wheat germ, cocoa powder, salt, niacin, iron, riboflavin (B2), thiamin (B1), folic acid, vitamin D.
Nutrition Information 100g: (144 calories per 2 biscuits), 360 calories, 1.9g fat, 0.4g saturates, 62g carbohydrates, 4.8g sugars, 9.6g fibre, 19g protein, 0.23g salt.